The casing has a 10cm x 0.5 cm piece broken off on the right side casing, the screen has light scratches on it. The body of the item has got scratches on the casing. COLLECTION ONLY. We reserve the right to refuse service to anyone. 26inch TOSHIBA TV. Condition is Used. Collection in person only. Over 500 TVS to Clear! 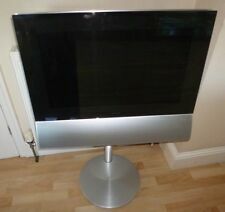 Other models available 19"-42"
Philips 26PFP8946/12 28" LCD Television. Condition is Used. Dispatched with Royal Mail 1st Class. Is also got vga can be used as computer screen. DVI, audio output, 2 scarts, can be use to watch VCR as well with DVD & vcr remote control. 5 out of 5 stars - Philips 26PF8946/12 LCD TELEVISION. 1 product rating1 product ratings - Philips 26PF8946/12 LCD TELEVISION. (Part No:V260H1-P03 V260CD1H13.2. Compatibility : - SEG LED2612QD-B 26" LED TV. SCREEN PANEL. scratches on screen ). You will get what you see in the picture, no other cable or accessories include d.
Muse Portable LCD TV M-335TV 10?. (26 cm), TFT LCD, 800 x 400 pixels, Black. HD type TFT LCD. Producer product family Portable LCD TV. Smart TV No. Display 800 x 400. Colour of product Black. Warranty 12. Tuner type DVB-C, DVB-S2, DVB-T2. HD type HD. HDMI Inputs 3. HDMI Version 2.0. • Diagonal screen size 124.5 cm (49 "). Smart TV sì. Motion interpolation technology CMP (Clear Motion Picture). Wireless connection si. Samsung 26 inch HG26AA470PW TV with Remote *VGC* + Warranty!! Warranty : RFG Warranty. 100% Genuine Product. If the color is not specified in the title, it may vary/different from the photo shown. We are with. MPN LC26DV22U. Model LC26DV22U. EXACT ITEM IS PICTURED ABOVE. READ I CANNOT GET THE DVD PLAYER TO WORK. THE TV WORKS GREAT AND IS IN EXCELLENT PHYSICAL CONDITION! ONE OWNER. Display Technology LCD. loewe TS-41 TV PEDESTAL FOOT/STAND FOR XELOS A26 LCD TV. MPN INV05.036. Replaces: VIT. < span class = notranslate ' > 70038.50 , VIT < span class = notranslate ' > 70038.50 . HD type 4K Ultra HD. Tuner type DVB-C, DVB-S2, DVB-T2. • Diagonal screen size 139.7 cm (55 "). Smart TV sì. Wireless connection si. Composite video (CVBS) 1. Video compression formats HEVC. Video Supported H. 265, MPEG4. Maximum Weight Capacity 30 kg. Screen size compatibility 66 cm (26 ") < span class = notranslate ' > 101.6 cm (40"). Certification TÜV. Maximum distance from the Wall 8,5 cm. WHEN DECADE?. VESA Mounting Compatible 50 x < span class = notranslate ' > x 50.75 < span class = notranslate ' > 75.100 x < span class = notranslate ' > 100.200 x < span class = notranslate ' > 50 x 50 mm x 200 mm 100.200 200 x 200 mm. Maximum Weight Capacity 30 kg. Tilt -15 - 15 °. Rotating angle 20 °. Minimum Distance From The Wall 3,7 cm. Maximum distance from the Wall 9,5 cm. Minimum Screen Size 66,04 cm (26 "). Maximum Screen Size 81,28 cm (32 "). VESA Mounting Compatible 100 x 100 mm, 200 x 200 mm. Maximum Weight Capacity 30 kg. Maximum distance from the Wall 3,5 cm. Screen size compatibility 66 cm (26 ") < span class = notranslate ' > 101.6 cm (40"). Maximum Weight Capacity 30 kg. Maximum distance from the Wall 9,5 cm. Screen size compatibility 66 cm (26 ") < span class = notranslate ' > 101.6 cm (40"). WHEN DECADE?. Therefore, kindly, evaluated judiciously. Hitachi 43HB26T72U 43 Inch Full HD 1080p Smart WiFi LED TV - Black. Panasonic TV in great condition. Manufacturer Panasonic. HD ready: Yes. Type of Monitor: LCD. Frequency: 50 Hertz. Weight in kg: 12. Power Consumption in Watts: 100. Vertical Resolution in Pixel: 768. The TV is tested fully operational and functions as intended, with all ports & connections, thoroughly tested working unless otherwise stated. Loewe Connect 26 SL Remote. The Loewe TV is sold on a 'non-working' basis. 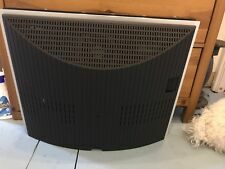 The TV powers up, however as per the pictures a blue screen appears and there are horizontal lines/band across the top of the TV. Impact Mounts universal TV pedestal is the ideal stand for your flat panel TV. It easily connects to the bolt holes behind your TV for a durable and sleek table top installation. With height adjustability and durable sleek design, it is an ideal TV stand solution for your flat panel TV. Smashed Screen. For Parts Only. 32HB26J61U A. Be hooked on shocking plot twists and adrenalin fuelled block busters. Get all the TV, whenever you want it with Freeview Play, which lets you catch up on live and on-demand TV from your favourite channels.